Seeing a picture like this, it is easy to understand why so many people have fallen in love with the look of this decking. Just imagine what it could look like when implemented in your own design, attached to your own home. This is just one example of what you could do; the creative possibilities are endless, especially when you order from us. We are happy to custom mill anything you may need to see your vision become a reality. To see even more pictures, head over to our image gallery. There you will find several excellent examples of projects, and perhaps some inspiration for your own backyard. 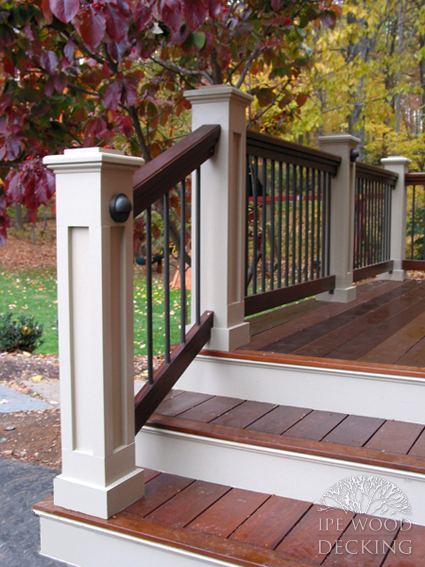 © Ipe-Wood-Decking.com, All rights reserved.